We provide our patients with the best level of care imaginable when it comes to root canal procedures. Stop ignoring that painful tooth! If you need a root canal, contact our Arizona dental offices and schedule an appointment today. Root canals are a common dental procedure used to repair infected teeth or those that experience a traumatic blunt trauma. Gradual decay will inevitably damage the sensitive pulp deep within your tooth, making a root canal procedure necessary to save the affected tooth. The more sensitive pulp chamber gradually breaks down as invading bacteria multiplies within. Bacteria and harmful debris can create infections or an abscessed tooth, a pus-filled pocket found along the end of the tooth’s root. Additional problems can stem from an infection. Root canals have long been stigmatized as painful but the current state of modern dentistry makes the procedure little different from filling placements. The majority of patients consider the pain associated with the infected tooth worse than the actual root canal procedure that follows. 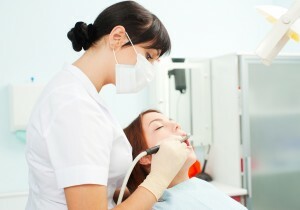 Are you experiencing root canal anxiety? Our highly knowledgeable staff fully appreciates the anxiety that can arise. We pride ourselves on being able to dissolve any patient fears along the way and and making the experience as close to painless as possible.